Always at the top of the list is low maintenance. 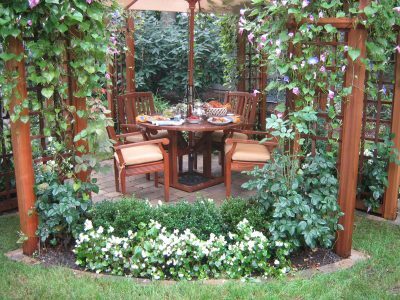 A common theme among clients, regardless of age or income, is the fact that a majority do not have the time or ability to properly care for their landscapes. For many, low-maintenance means not just a beautiful low-maintenance design but having a customized landscape maintenance program to provide year round pruning, mulching, and professional garden care. 40% of Americans leave it to the professionals to protect their landscape investment and have a no-maintenance garden. Making the list of trends again and predicted to continue to be requested are pollinator gardens. Our greater awareness of the peril a number of pollinators face has influenced demand for creating pollinator habitats within the landscape whether it be for butterflies, bees or just a general wildlife habitat. We have seen this trend for a while. It’s now showing up in a number of publications. We have been able to design private secluded places, smaller retreats for a cozy, quiet respite. While outdoor living spaces tend to be all about entertaining guests and family, these smaller retreats provide a quiet place for homeowners to relax, read or unwind. The popularity of the outdoor room has not subsided. Fire features, lighting, weather-proof speaker systems, stylish furniture, improved fabrics, and other comforts have turned the backyard patio into additional living space to be enjoyed for more than just a summer BBQ. Technology puts control into your pocket with your mobile phone. Pantone is a leading provider of color systems and an influencer on interior and exterior design. Last month, Living Coral was named the Pantone Color of the Year. 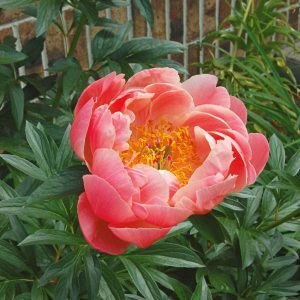 Landscape professionals and growers predict that this rich shade of pink could bring fresh blooms of annuals, perennials, and lowering shrubs to flower beds. 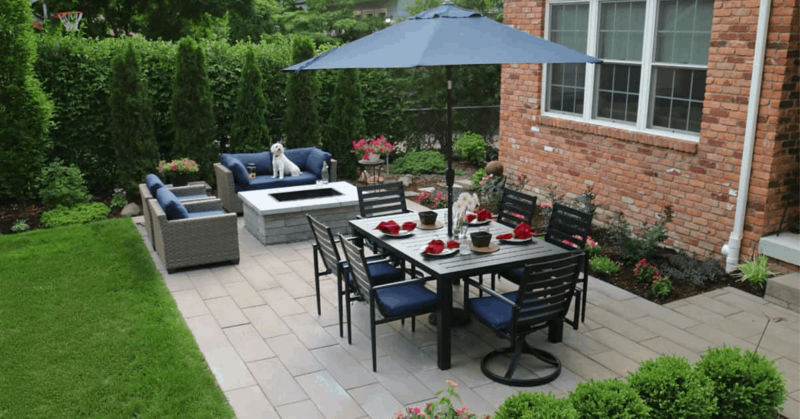 Color and design experts also anticipate light blush tones to become “the new neutral” and another option for hardscapes and stone selections. Whether homeowners want a bold statement or whimsical touch, incorporating metals can bring new dimensions to landscape design. Used for decorative art, water features, or furniture and accessories, creative uses of metals including steel and iron can make for lovely accents or entire focal points. Another look that is anticipated to be popular in 2019 is asymmetrical design. Asymmetry tends to have a more natural feel to it and can work for spaces that are less structured. An asymmetrical design will appear less formal, more casual. This does not mean it is without symmetry, but rather that it is less obvious and predictable. There is balance by combining elements of varying weights. The landscape is changing! New products and new plants are being developed all the time to further enhance the places we love to spend our time. And technology has influenced every facet of the profession. It’s an exciting time. Can’t wait to see what’s next! We are proud to have been trusted by Michigan homeowners for over 35 years. To learn more about our services, click here. To view our portfolio of custom landscape design projects, visit this link. And please, don’t be shy to contact us to learn more about our custom landscape design and build services. We would love to help you create your own little piece of paradise in Michigan.